Sometimes simple things point to profound spiritual truths. The egg. Three parts – the shell, the white, the yoke – yet one egg. God. Three persons – the Father, the Son, the Holy Spirit – yet one God. So what happened over 2,000 years ago when Jesus came to Earth? He flung a part of Himself into flesh. Oh, but life begins before the cries of a newborn are heard. to be a tiny fertilized ovum in the womb of a young virgin named Mary. Can you imagine the chaos of heaven? Do you think Satan stood aghast wondering what this could mean? Hoping Jesus had been flung out of heaven for good. Can you see the yoke and the white without the shell? The oozing messiness of it all, the pain of separation. Oh, but it couldn’t have been done any other way. a perfect sacrifice, a God-man. God cracked the Egg of the Trinity. God the Father had the same end in sight when He sent Jesus to earth. worth the end result – man in close intimate eternal relationship with Himself. That eternal intimacy will bring glory to God Himself. Oh that I may live a cracked life. Willing to be messy and get messy for God’s glory. That I may be full of Him and pour His grace and mercy out to others. This entry was posted in Uncategorized and tagged Christianity, Christmas, God, God the Father, God the Son, Holy Spirit, Jesus, Satan, Spiritual Growth, spirituality. Bookmark the permalink. I watched the whole video on YouTube and skimmed through some of your website. Since we are coming from different worldviews this discussion may be difficult. I have no intention of offending you nor anyone of the Muslim faith. Here is my response to the YouTube video you linked. 1. The Bible is more ancient than the Qu’ran. Whereas that does not make it better, it does mean that historical events were recorded closer to the actual time they occurred. People who knew Mary and Joseph and Jesus were still alive when the Gospels and much of the New Testament were written. Therefore in human terms if the accounts were not true, they would have been written off as fables and been long forgotten. Instead they have been quoted, circulated, and protected by God. Not to mention that thousands of people died at the hands of Rome, if they knew these things to be fables I do not believe they would have been willing to die for them. The bottom line is that (as I understand it) Muslims have faith in Allah and believe the Qu’ran to be holy and only the parts of the Bible that don’t contradict it are holy. As a Christian I say not the Qu’ran, but the Bible is Holy and is God’s word. 2. My view of who Jesus is relies on the validity of the Bible. Is it God’s word? Does it make sense? Is it reliable? Does it transform my life? I do not pretend to know or understand everything in the Bible. What I do know is that archeology continues to prove the Bible right and accurate in geographical locations, civilizations we didn’t know, etc. I also know it has been passed down reliably as the Dead Sea Scrolls have proven. Fulfilled prophecy is also another test of its reliability. The change that God has wrought in my life through His word, through personal deep abiding relationship with Him through His Son, and Spirit parts are further proof of its accuracy. As I understand Allah is not someone you get to know intimately (but maybe I am misinformed). The video you shared questioned the genealogies in the Bible. I questioned that myself. 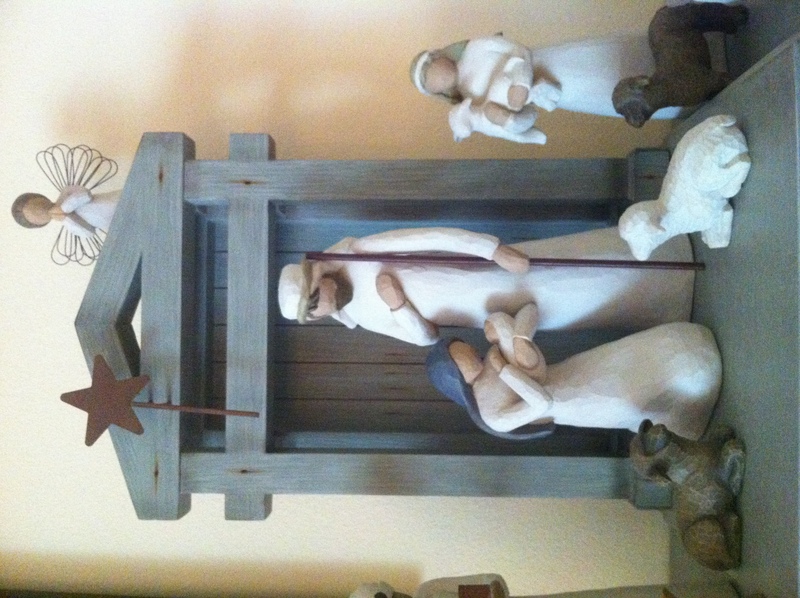 A simplified answer is that one is actually Mary’s genealogy and the other is Joseph’s. It was not uncommon to leave a woman’s name off a genealogy during that time period because women were not highly prized or even considered equals. That is why Jesus’ treatment of women was so astonishing. In the video it was also implied that the genealogies state that Jesus was actually human. However that is not the case. These genealogies show that the parents whom God chose to raise the “Son” part of Himself were of David’s line (both Mary and Joseph) which was important because of prophecies told about Jesus. 3. I would also challenge that the Bible does call Jesus the word. John 1:1-14 tells us that the Word became flesh, that John the Baptist prepared the way for the flesh-Word, but that the Word was with God and the Word was God. It tells us that the World created the world. Since this is true of Jesus, He did not need to be taught by God, but instead He was God. He preached the good-news, but more than that. He elevated the law from just being what you do outwardly to being what is in your heart. Jesus says in Read Matthew 5:17-48. Jesus was more than rituals, He was about making a way for a true relationship. I love to discuss issues like these with those who do not believe what I believe. Often we have to agree to disagree. Prayerfully, with God’s help, I discuss with love and grace. Finally I pray and leave the results to God. I pray God’s Richest Blessings on you. Beautiful Angela. I loved the analogy and your heart for Jesus shines through! Wow! You are really deep into your faith. Its a rare quality I have seen among people. I shall forward your response to the gentleman in the video.I’m sure he’ll be very interested in what you had to say above.